Market House has a record of getting good and interesting food (see here for an earlier example) and we can say from the beginning that this is a winner, although we recommend that everyone should concentrate on their signature dish – the chicken. 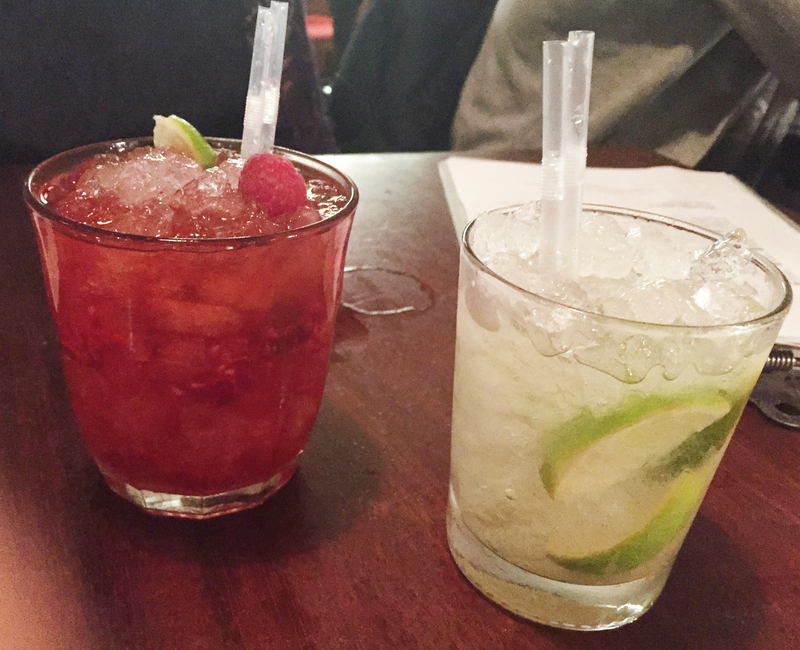 Getting a table at Market House, especially on a Saturday night, can be a problem, so think ahead and book. Then when you arrive you need to work out that you have to order the food at the bar, especially if you arrive a bit early. 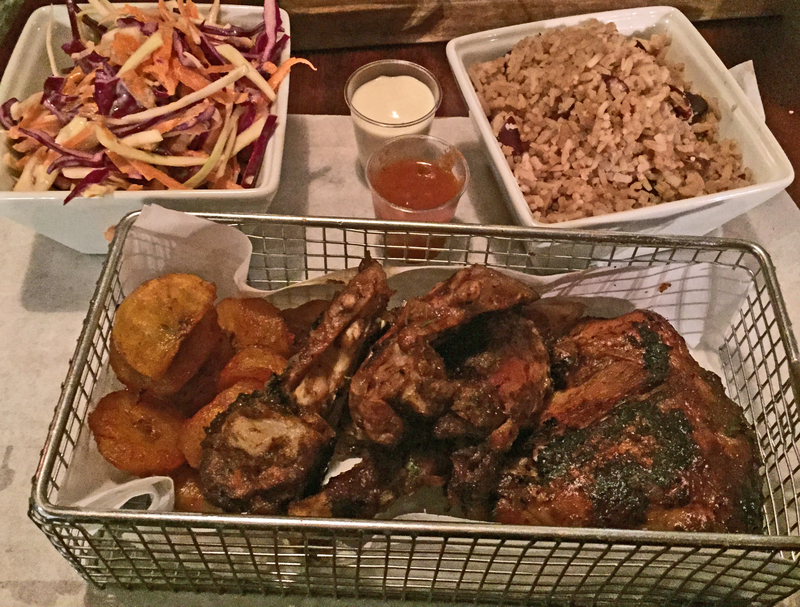 The menu consists of meat and one veggie option – with Jerk chicken, Jerk pork sausage, Jerk saltfish cakes. Depending on your option you get it in a wrap with salad, with sweet potato mash or jerk spiced fries, rice and peas, battered plantain and coleslaw. Most come with tropical mayo, BBQ sauce and/or Jerk sauce (very hot). We ordered a chicken meal and the sausages. The chicken was fantastic, lots of depth of flavour but not overdoing the heat, as long as you didn’t try dipping in the pepper sauce. 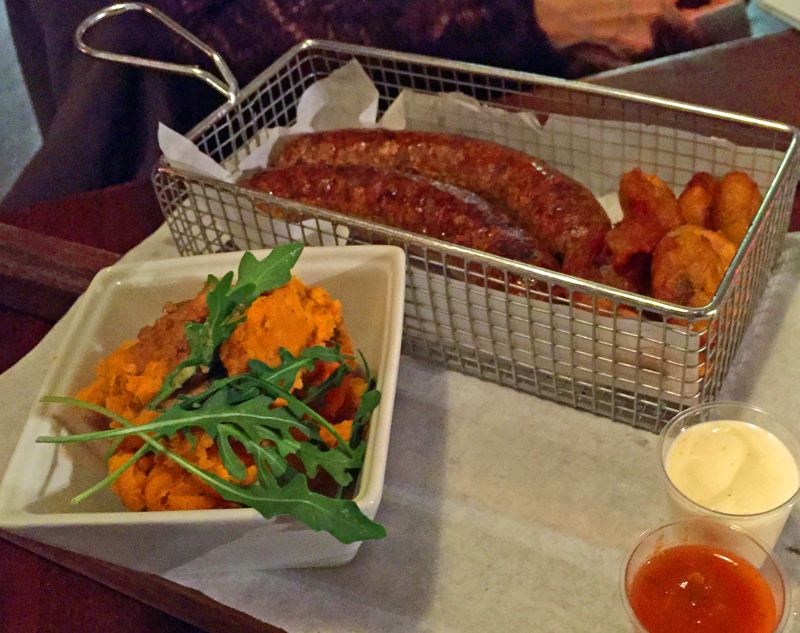 The sausages were also interesting but overdone. The slaw was great and very colourful, and the mash was spicy and warming. The plantain …. well what can you ever say about plantain – heavy but with the addition of the mayo or hot sauce was a sweet addition to the whole meal. The disappointment (apart from the sausages) was the rice and peas which didn’t taste fresh or really of very much – Brixton clientele are the most discerning of this staple, which is sold in all the Jerk chicken shops (see our run down of takeaway shops ). 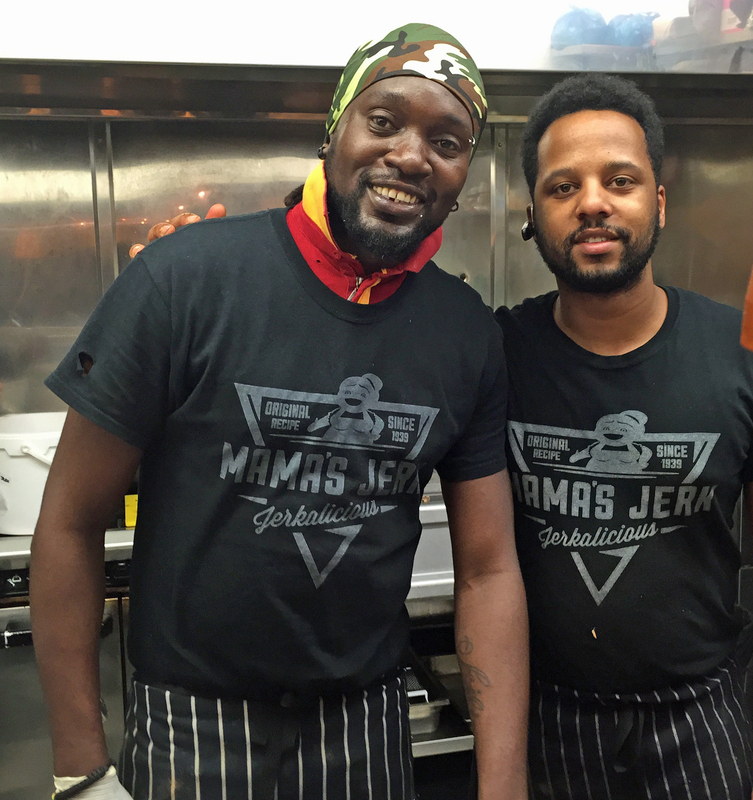 But we thought Mama Jerks chicken was a definite contender for the best of Brixton. Most dishes are £8.00 to £10.00 and the total bill came to £36.40. This included, thanks to the Market House’s extended happy hour, two £5 cocktails while we waited (an excellent caipirinha and an interesting electric boogaloo) and two beers (Sagres) to drink with the meal. 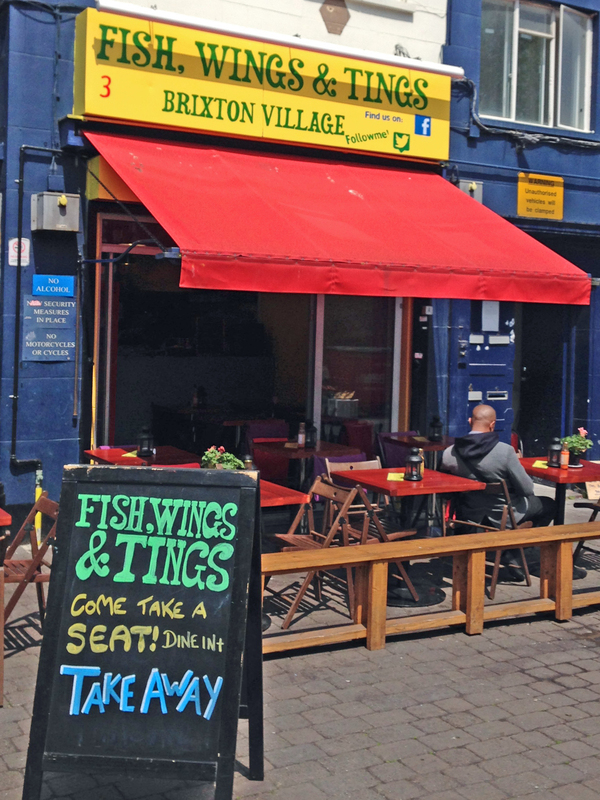 Fish, Wings n Tings is in a corner of what is now known as Brixton Village. Given the huge Carribean population in Brixton we were glad to visit a restaurant that might have home-grown food and make up for the loss of those wonderful greengrocers in Granville Arcade (aka Brixton Village) selling yams and stuff that might have been a vegetable or a pudding. There are three places to “eat in” comfortably in Brixton that serve Caribbean food – Bamboula (waiters have a lot to be desired), Verandah (great food and classy) and this place. It is very small with an outside area which was a bit chilly given our current summer (rain with a hint of sun). Garden tables and chairs tightly are squeezed into the tiny space so the waiters have to shimmy around and each time we wondered if a plate would break free on a customer’s head. On our visit we decided (as it was midweek) not to hit the cocktails but we saw some being made and thought they looked interesting. The menu is short and to the point – fish, chicken or goat. We had the jerk chicken and the goat curry with rice and peas. The jerk chicken was not as marinated as we hoped it would be (but more of that later when we do the full comparison). The goat was tender and spicy but also pretty dry and on overhearing my comment a jug of gravy was hurriedly provided. The rice and peas were pretty good too. However this is a short review because this is all we could manage as the rice and peas were pretty filling for a side. We spent about £15 including a couple of beers and in terms of recommendations this is a hard one. We are really reviewing a meal and not the place. The waiters were helpful and the owner realising a problem put it right immediately….but caribbean food (except in Veranda) is homely and filling. If you are hungry then visit here – you will certainly not feel any further pangs for many hours afterwards.